The longer you’ve been using Salesforce, the tougher it can be to keep your orgs healthy. This is why optimizing Salesforce CRM is so important. One of the biggest challenges is simply knowing what potential items need to be reviewed. 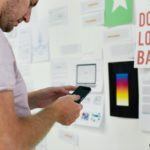 Some organizations spend hours every year to look through their org’s documentation or their configuration setup to identify what needs to be cleaned up, deleted, or simply reviewed for accuracy. This process is significantly easier now that the Spring ’17 release is here. 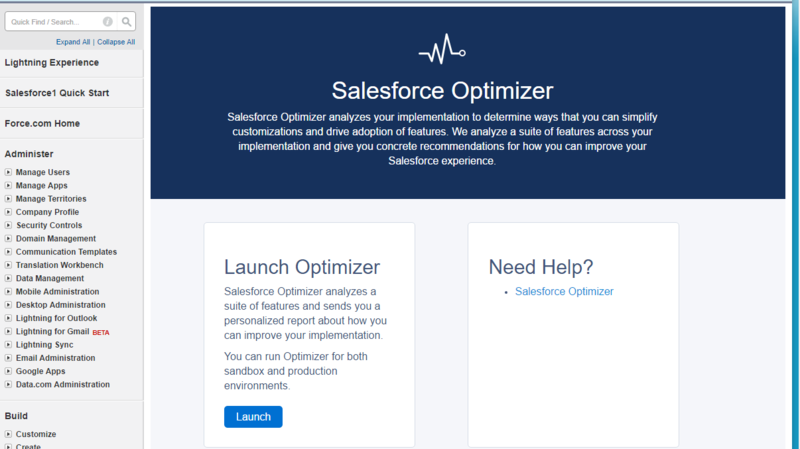 A new feature called the “Optimizer” evaluates your Salesforce org and identifies potential trouble areas for review. What’s great is how simple it is to use. In 6 steps, here is how to use the new feature and start optimizing Salesforce. Finding the optimizer is simple. The only requirement is you must be on the Spring ’17 or later release. It’s available for Professional Edition and up. Simply enter the setup page, and expand “Monitor.” You’ll see Optimizer in the menu. 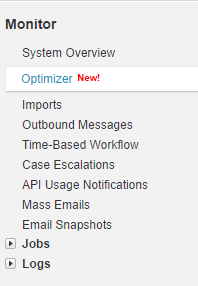 Alternatively, you can search for “Optimizer” in the quick find box. This will quickly filter your setup menu so only the Optimizer is displayed. You must have the Customize Application and Modify All Data permission to find and run the Optimizer. If you’re in Professional Edition, this likely means you have the System Administrator profile. 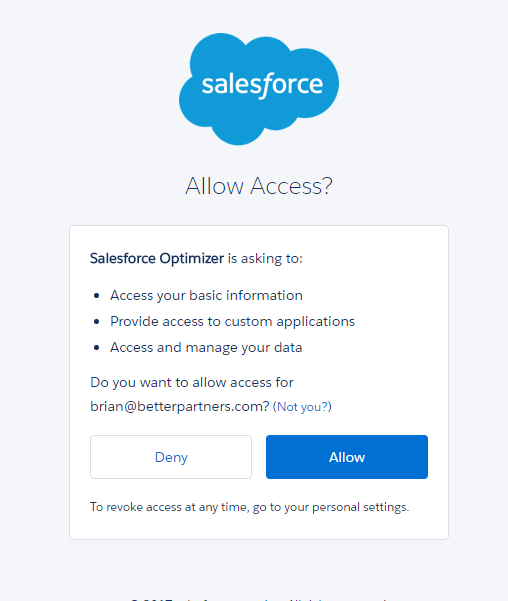 Click “Allow” so the Optimizer program can access your Salesforce environment. It needs your permission to look at your Salesforce configuration. 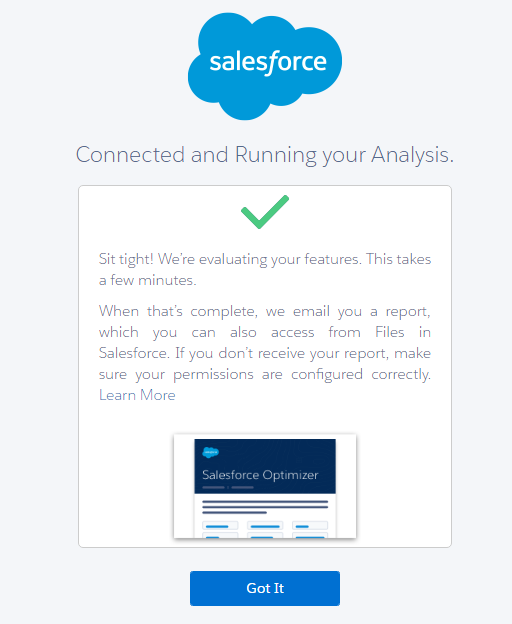 The confirmation screen simply lets you know the Optimizer was able to access your Salesforce environment and is currently evaluating. When the report is ready, you’ll receive an email. The report will be attached but you’ll also have it available to you as a file directly in Salesforce. This is a great way for you to share the report with your team and start a chatter conversation around the results. We have more than a decade of collective experience of working in Salesforce environments, including helping to clean and ensure your Salesforce is configured to meet your business objectives and needs. 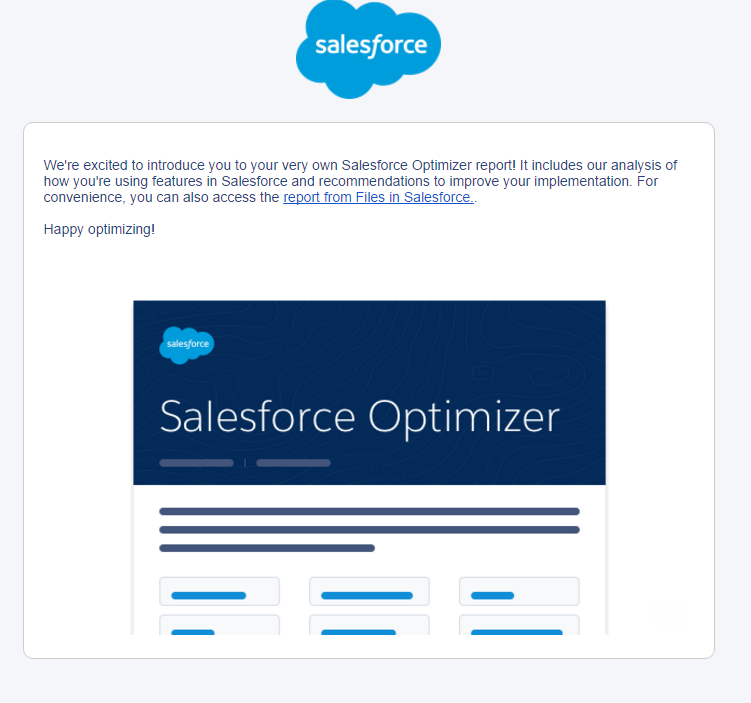 The optimizer report is a great way to start the conversation. 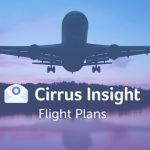 We hope you enjoyed reading our post on One Simple Way to Start Optimizing! 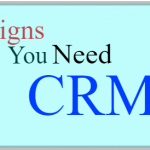 Contact Better Partners for more Salesforce tips or business consultation on optimization!